If you are a restaurant owner, restaurant technology contractor or own a night club or bar, and the venue serves alcohol and handles heavy cash transactions, you must take care of security concerns and install security cameras before opening. The installation of security cameras improves the video surveillance of the establishment, and helps you in the case of a mishap. The following are some useful tips that will help owners of restaurants, bars and night clubs decide which type of security cameras should be installed, as well as where the cameras should be placed. Use IP or megapixel cameras for security: If you have installed a security camera in the area where most cash handling is done, then an ordinary security camera is of no use. If your security camera does not include IP or megapixel technology, please consider replacing it with the latest technology, which catches images sharply. One of the main purposes of this camera’s position is to ensure money is handled properly. Megapixel cameras can provide the proof you need in the highest resolution when a need arises. Ensure the whole picture is captured: Traditional stationary cameras have a limited field of view and do not provide the whole picture. For this reason, owners of restaurants and bars install PTZ cameras (pan, tilt and zoom) but these also don’t pan in an entire circle. Plus, you always miss some portion of the covered section as the camera is moved from position to position. There is no such problem with a 360 degree camera. 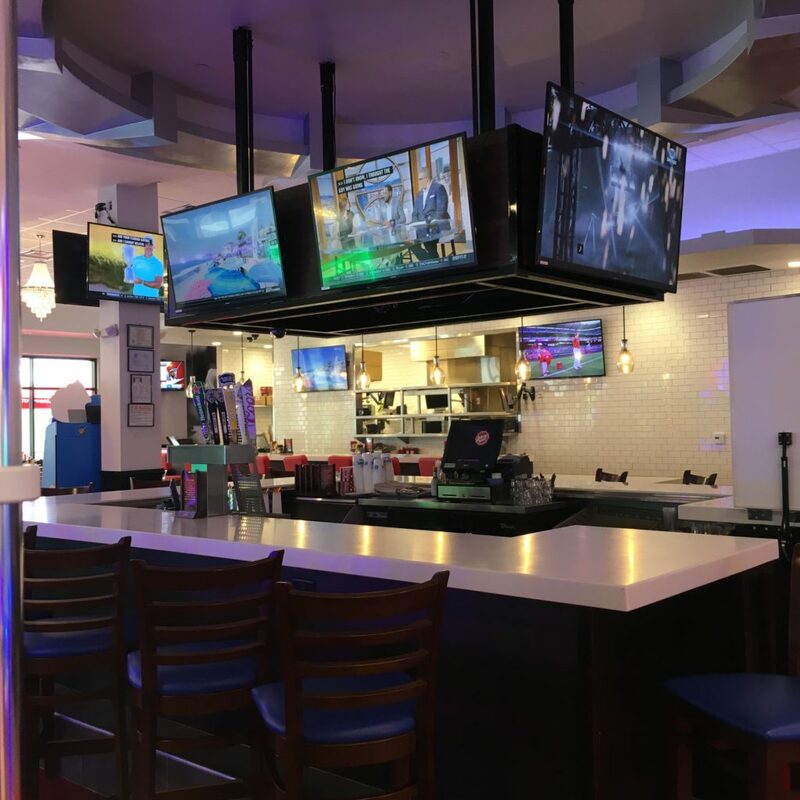 It can be mounted in the center of the restaurant, and you’ll be sure to catch all images of activity in that place with no lapses in coverage due to a limited field. 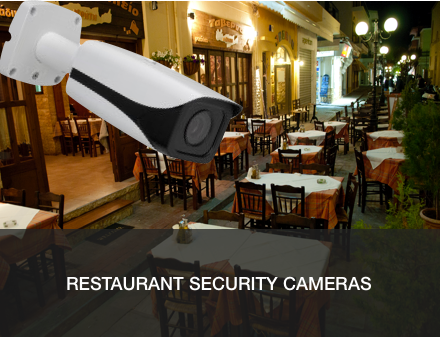 Provides protection from law suits and loss of license: The most common reason for having a security camera in a restaurant, club, bar or dance floor is the occurrence of slips and falls, claims of over-serving, claims of assaults by the aggressors themselves, and protecting yourself(owners/ employees). With security cameras in place, false claims of over-serving, slips and falls and any quarrel can be monitored and saved for investigating agencies. This provides protection to restaurant staff and owners from persecution and loss of license. Low light conditions are fully monitored: Use of day/night and infrared cameras helps to accommodate darkness and low light problems. These cameras also come into play when burglaries occur during closing hours. In low light, identification of burglars is crucial. IP and mega security cameras serve the purpose of facial recognition in court cases, as criminals can be recognized without any question. Protection against shrinkage: Security cameras can help in monitoring the areas where the inventory is kept or in transition. Areas such as loading bays, where shipment of stock arrives, stock rooms, liquor coolers and areas where food and other items are kept, need constant monitoring from dishonest employees indulging in pilferage. Helps in adhering to health and safety standards: By keeping cameras positioned in the kitchen, restaurant owners can ensure health codes are being followed by food handling staff. You’ll know the position of back houses 24/7. This can save you from receiving fines and other penalties by health inspectors. Helps in monitoring service areas: By keeping the security cameras positioned on the service areas where food and drinks are being served by your staff, owners can have full control of the restaurant employees and know how staff is serving your patrons. Moreover, you can watch any free meals served by staff to their friends and relatives without your knowledge. Keeping an eye on service areas allows you to offer training and track customer behaviors, such as traffic flow in the restaurant. Always on duty: Remote WiFi router controlled cameras are always on duty whether you are in the restaurant or not. You can watch your restaurant, bar and any area of your establishment without being there in person. This allows you to make business decisions quickly and accurately. Here at Little Gecko Technology consultants of Boston, we are happy to provide technology services in your restaurant business to lighten your workload by offering POE Security Camera systems, POS systems, Micro POS Systems training in Boston, WiFi back-up internet routers, video and music acoustics installation in your restaurant, bar, or club. Our main goal is to get your new or existing restaurant business up and running, and to help your restaurant business run smoothly.